Over the years Glice® synthetic ice rinks have become extremely popular with the leisure industry, yet Glice® is a product originally created from athletes for athletes. Partnerships with professional ice hockey players and meetings with the most important functionaries of ice sports around the world are testimony to the extraordinary standard of Glice® synthetic ice rinks. 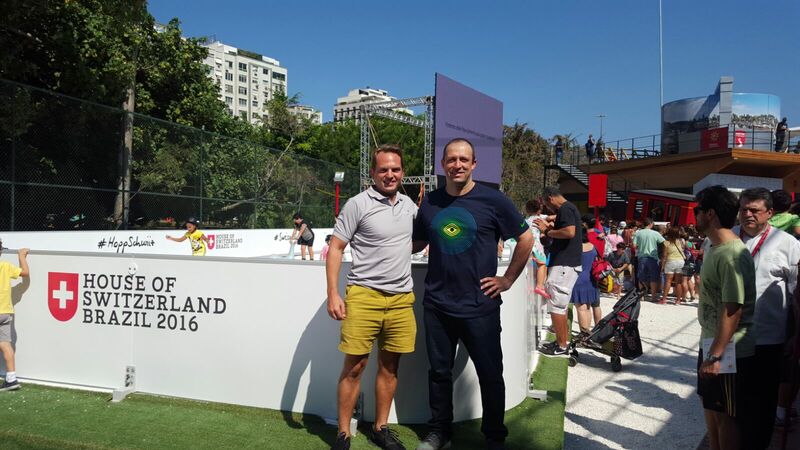 Here, Glice® co-founder Viktor Meier meets with the President of the Brazilian Ice Sport Federation, Emilio Strapasson, at the Summer Olympic Games in Rio de Janeiro.